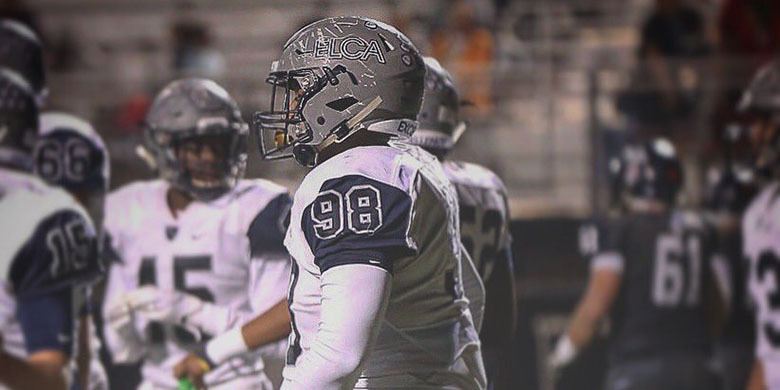 One of the more dominating defensive linemen the last few years in Class A has been Marquise Black, the class of 2020 ELCA athlete. Splitting between defensive end, more as a sophomore, and defensive tackle his junior year. Black has uses his 6’3″ frame to blow by a linemen at a very successful clip and has very good length to get off blocks effectively. No school stands out yet for the big man, and he doesn’t have a timeline yet for a decision. “I want to wait and give it some more time,” Black said. The talented defensive linemen has been a FBS target for some time now, but is playing the recruiting process slow no doubt. “I still want to go visit and see what feels like home. I have visits planned to Tennessee, South Carolina, Kentucky, and Florida – those are my next visits at least. Recruiting process is very much still in the air for Black, and there is a potential for more colleges to jump on in April and May. Louisville is the latest with their offer back on March 29th and several P5 schools like Syracuse, Mizzou, Kentucky and Miss State with equal heavy interest. Whoever ends up with the big man will be getting a versatile defensive linemen who can fit in multiple defensive sets, play both defensive end in a 3-4 and a also a 4-3 DT. Black is very quick off the football and in the open field he just explodes after the quarterback, he projects really well as an interior pass rusher at the next level, and someone who can wreck havoc on 3rd down.